When it comes to investing, there are no risk-free options. Bank certificates of deposit (CDs), for example, have opportunity cost risk (they rarely pay more than 1% annually these days, and other vehicles offer significantly higher potential returns). Stocks have market risks (individual stocks and broad markets can drop unexpectedly and languish for long periods of time, even years). Bonds have interest rate risk (rates can go up while you’re locked into an older bond at a lower rate, which can severely diminish the value of your bond). Even hiding your money under the mattress exposes you to inflation risk (the general rise in prices eats away at your money’s buying power), not to mention theft risk. 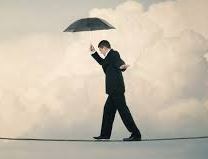 All investments have risk – there are no exceptions. Since risk cannot be eliminated, it must be prudently managed. Managing investment risk means layering your portfolio with lots of different types of risk. I know this seems counter-intuitive, but stay with me. The more types of risk represented in a portfolio, the greater chance it will weather a major storm. No particular sector of the market or type of security will be able to take the portfolio down. Stocks, bonds and cash are simply not enough in these distressing financial times. The best portfolios will add some combination of real estate, energy, private debt and equity, annuities, commodities, and international holdings to lower risk and stabilize returns. The object is not to avoid risk (which can’t be done), but to minimize it by compartmentalizing the risk into smaller sub-allocations across the available bandwidth of asset classes. When the tide goes out, it lowers all the boats in the harbor. Owning a hundred stocks, even in multiple industry and style categories, does not protect you from downside market risk. If the market drops, your whole portfolio will drop with it. After two major market corrections exceeding 40% since the year 2000, you’d think we’d have learned a few things. Adding more types of risk to your portfolio actually lowers your overall risk. Get the facts and take action.